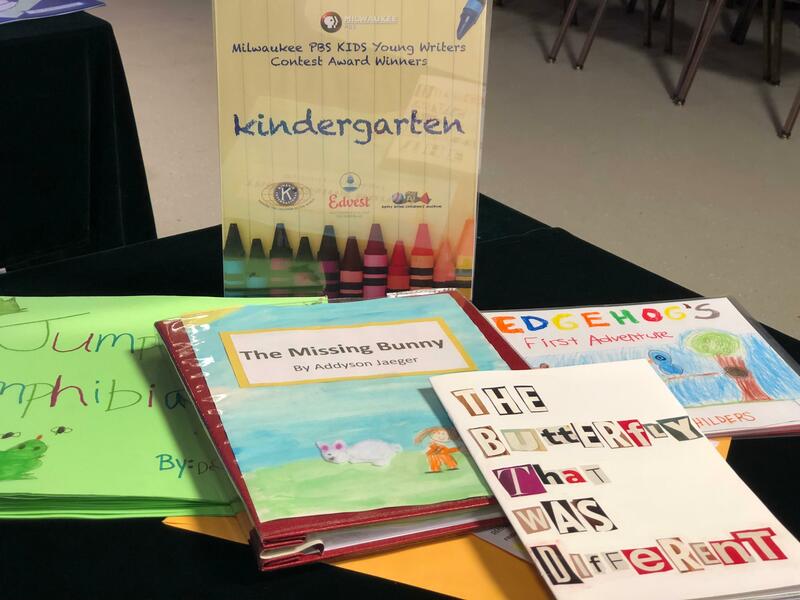 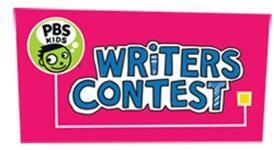 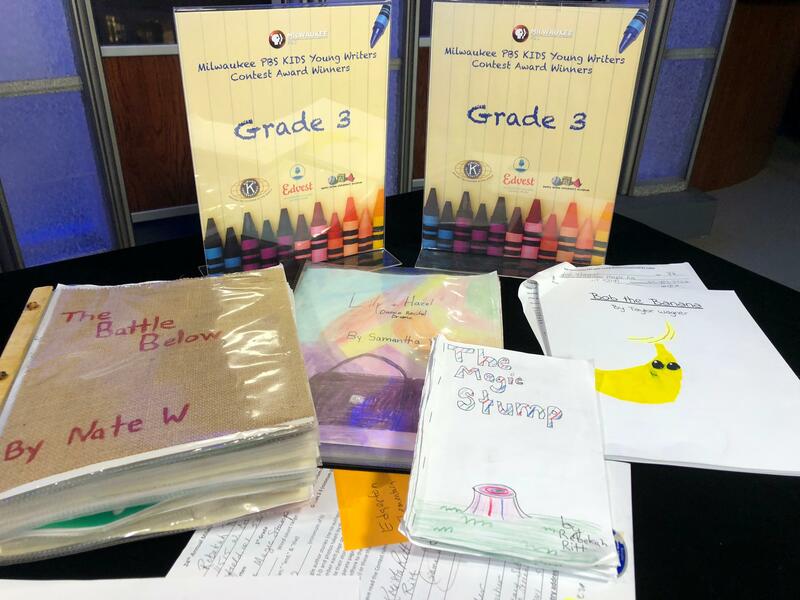 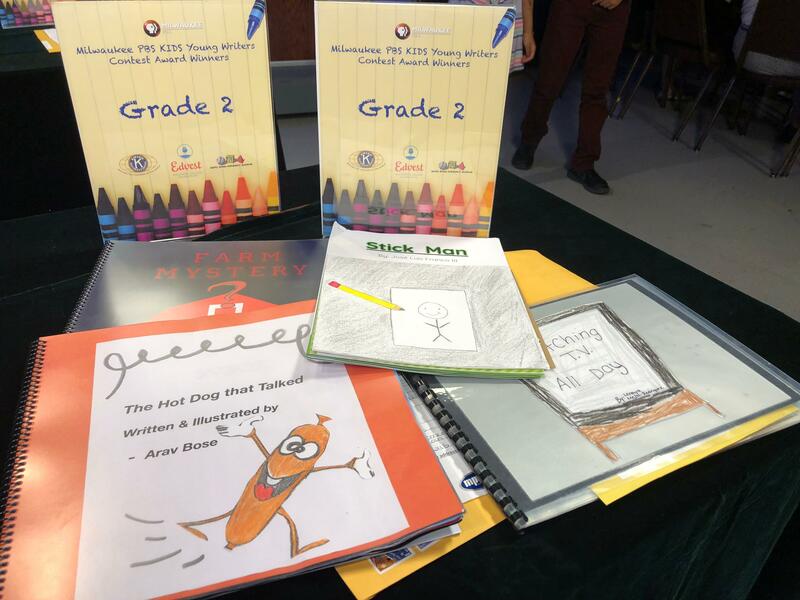 Milwaukee PBS received 277 entries from children throughout southeast Wisconsin in this year’s Milwaukee PBS KIDS Young Writers Contest. 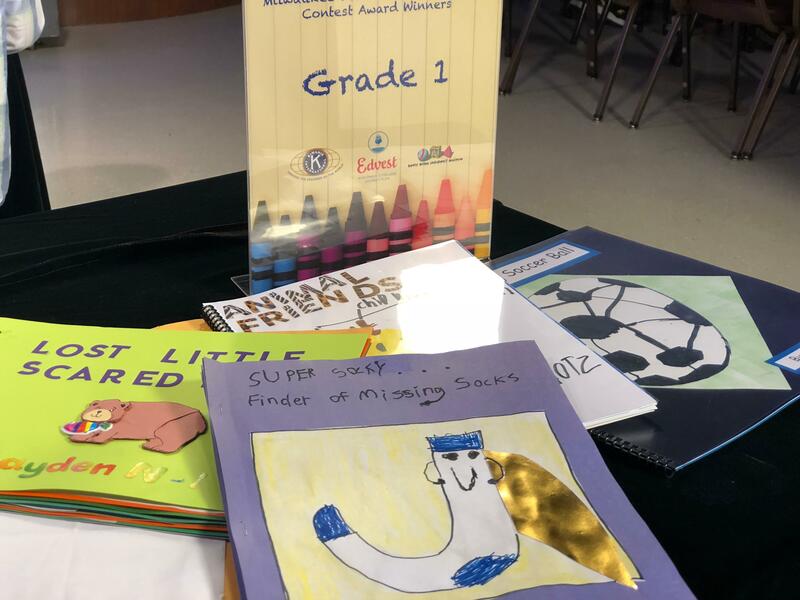 From that number, the judges recognized 16 stories in grades Kindergarten through third grade. 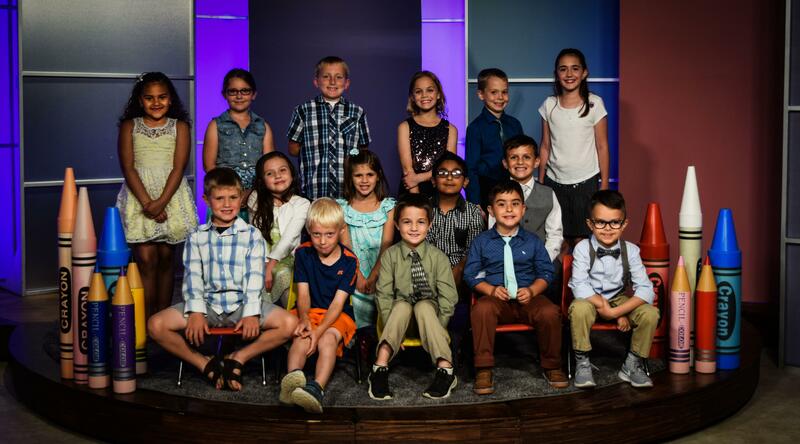 First Place - Declan Flaherty -"Jumping Amphibians"
Second Place - Khole Cantu - "The Butterfly That Was Different"
Third Place - Addyson Jaeger - "The Missing Bunny"
Special Merit - Nathan Childers - "Hedgehog's First Adventure"
First Place - Joaquin Manzano -"Super Socky..Finder of Missing Socks"
Second Place - Kayden Nelson - "The Lost Little Scared Bear"
Third Place - Levi Klotz - "Animal Friends"
Special Merit - Caleb Charles - "The Missing Soccer Ball"
First Place - Jose' L. Frankco III -"Stick Man"
Second Place - Arav Bose - "The Hot Dog That Talked"
Third Place - Carson Gerou - "Farm Mystery"
Special Merit - Lenaya Mejia-Rodriguez - "Watching TV All Day"
First Place - Nate Welch -"The Battle Below"
Second Place - Taylor Wagner - "Bob the Banana"
Third Place - Samantha Yonkers - "Lily + Hazel Dance Recital Drama"
Special Merit - Rebekah Ritt - "The Magic Stump"